Key-Rex® nuts are nearly impossible to remove without the custom sockets - and you'll be the only one with access to that keyway. Using the same exclusive, patented keyway technology as the Key-Rex® screws and bolts, there are over 55 billion variations, ensuring you are the only one who can remove your fasteners. Adding optional Raptor™ claw gripping serrations increases torque, provides more grip, and eliminates need for lock washers. 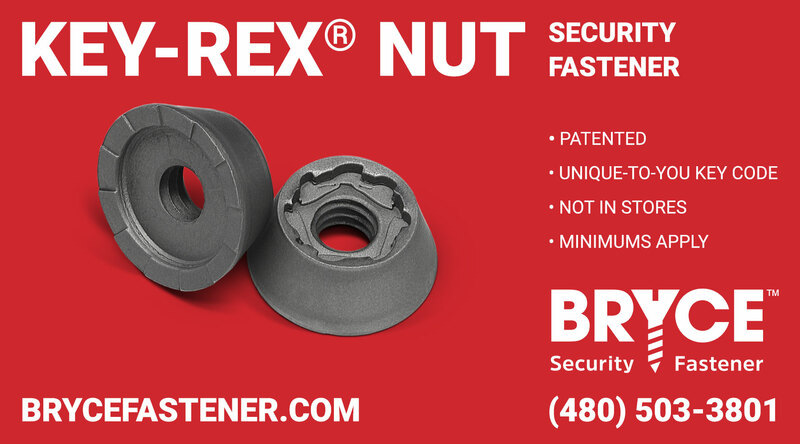 If you're looking for the most secure, theft-proof nut on the market, you're looking for the Key-Rex® nut.